50% increase in a program to start new charter schools or expand and replicate existing high performing charter schools. $1 billion proposed to create the Furthering Options for Children to Unlock Success (FOCUS) grants to support public school choice. FOCUS grants would be awarded to school districts that allow federal, state, and local funds to follow students to a public school of their choice. Disadvantaged students would be provided with more funding on a per pupil basis than other students. $250 million increase in funding to award scholarships to students from low-income families to attend a private school of their choice. This through a program intended to support innovation and research. CONTACT PENNSYLVANIA’S MEMBERS OF CONGRESS TO PROTECT OUR CHILDREN! President Trump’s budget reflects a narrow and misguided view of education priorities and will have a devastatingly negative impact on the majority of the children of Pennsylvania. It will impede Pennsylvania’s progress toward an equitable, high quality education for the Commonwealth’s students. Student “portability” funding and vouchers funding will weaken the infrastructure that provides a free and appropriate public education to the vast majority of Pennsylvania’s children. It will put increased financial burdens on local tax payers. Pennsylvania’s families need Secretary De Vos to be held responsible for enforcing federal anti-discrimination protections such as those provided for under Title VI of the Civil Rights Act and under Section 504 of the Rehabilitation Act. Title VI enforcement has protected a large number of students from discrimination. Every school district has students who are protected by Pa. Code Chapter 15, Protected Handicapped Students through Section 504 Plans. Pennsylvania’s students need Congress to adequately fund the Department of Education Office for Civil Rights so that its staff can carry out its statutory responsibilities. Pennsylvania tax payers have consistently expressed their opposition to student “portability” – as provided for in Pennsylvania. It undermines already underfunded school districts, placing an additional burden on tax payers. It provides public funding to many schools that lack the same accountability and transparency required of traditional public schools. Pennsylvania tax payers have consistently expressed their opposition to the public funding of vouchers for students to attend private schools. 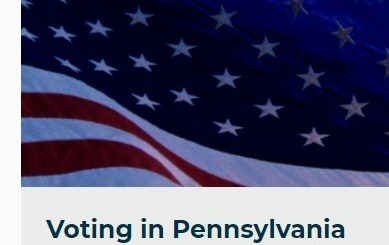 The citizens of Pennsylvania would like their voices represented in Congress. Please use the vote with which we empowered you to represent us. Reject the school choice funding in the President’s budget proposal. Oppose and reject the components of the budget proposal that will do harm to the families, and to those children who have no families in Pennsylvania.